"I have heard the concerns of protesters planning to march on my home this evening against the CPD sweeps of homeless Chicagoans in the Uptown community. I will not be at my home at that time, as I will be meeting with constituents at Ward Night in my office, as I always am on Monday evenings from 5-7p.m. I encourage demonstrators to come discuss their concerns with me there. I share many of the protesters’ concerns about the impact of the police sweeps on our homeless neighbors. Primarily, the sweeps are a short term tactic that do not address the underlying cause of widespread homelessness--a lack of access to safe, clean, affordable housing in our community and across the city. 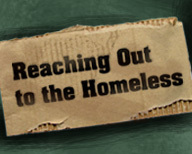 The number one issue that affects people who are homeless or at risk for becoming is the lack of affordable housing. I continue to advocate for keeping and adding more affordable housing in our community and throughout Chicago by my support of changes to the Affordable Requirements Ordinance that will increase the number of affordable units built as well as increase funding for the Low Income Housing Trust Fund. Additionally, to make sure that we do not lose our current affordable housing, I have worked with organizations such as One Northside and the Jane Addams Senior Caucus to save over a hundred safe, affordable units owned by Presbyterian Homes. I have been and continue to be the number one advocate in the City Council to put funding toward the implementation of the City's 2.0 Plan to End Homelessness. This includes making sure the City is equipped to have all social service agencies coordinate services so people do not fall through the cracks, something past consumers noted was a big problem for them getting help. On November 20, I will co-host the Out in the Open Sleep Out to call attention to the problem of youth homelessness, particularly as it impacts the LGBTQ community. I hope that the individuals involved in today’s march will also stand with all the organizations working together to promote that effort. I look forward to meeting with constituents that are concerned about this issue at my Ward Night every Monday from 5-7 p.m."
Thanks for engaging these "protesters". If I were to wager a bet, these folks won't come, or if they do, they will attempt to bark you down. Not to fear, the empty wagons make the most noise. The writing is on the wall and the neighborhood is changing for the better thanks to your stewardship and to the forces of the free-market. Let the protesters know that your tax paying constituents have your back and thank you for working with the CPD to clean up the viaducts. I think you could do more by cleaning up the parks too. Let's get rid of the double-standard that places Uptown as the bulls-eye of every problem blighting the city (gangs, drugs, homelessness, mentally ill, etc). It's time to share this burden with the rest of the city. Letting people camp in tents with no sanitation on public land is not a solution. If they can't camp in Grant Park, they can't camp in Uptown's parks. This was posted Nov 3rd. Surprised that other sites didn't pick this up. I agree with what Pierre has said so far. Alderman Cappleman: we have your back coming from the tax paying constituents. We have lived in Uptown for almost 11 years. ( and paying property taxes for those years). 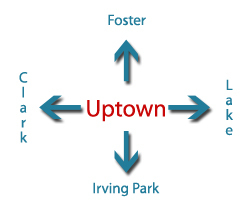 We have noticed the positive changes in Uptown under the current leadership Ald. Cappleman. But, we still need to do more about the gangs, drugs, and homelessness issues. It is time for other wards to pick up these burdens. the homeless can't camp in any other parks in the city. they sure can't camp in Uptown viaducts and parks! The law prohibits anyone from squatting on public land regardless of their residency (or lack thereof). It's pretty unambiguous. If the protesters are concerned about the welfare of Chicago's citizens, they should protest to force the city to operate in a more efficient matter. Maybe if it did, we wouldn't have to subsidize 84 years of a one-party government's mismanagement with an historic property tax burden. We don't want them to be able to camp, we want them to have affordable housing. But Cappleman has closed down 1000 affordable units while providing ZERO replacement housing units. If people have no where to stay, what do you expect them to do? Then you HARASS them and give them bogus tickets. It's evil. Shame on you. Uptown is not an island in the Pacific. There is plenty of affordable housing all over Chicago where the homeless can go. Surely, you don't suggest that the homeless have grown attached to their "homes" uniquely in Uptown? If you visited many of those affordable units in Uptown that were shuttered, you would have found filthy, vermin-infested conditions that violated multiple terms of the Chicago Building Code. People were pimping poverty for pecuniary and political gain. That era has ended in Uptown as it should have 20 years ago. Links please? Where is all this affordable housing? Can you provide links showing a direct correlation between the closings you reference and the growth of the tent city population under our viaducts and parks? There was a tent city when we had the rat dens you reference. I'm not buying your straw man argument. Why is it that you feel the individual should not be held accountable for finding their own affordable housing? It's not Cappleman's job to do that. Quit your griping and get a job. I vote that Eric stay in Hotel Le Chateau at its height of filth. I bet Eric has a nice warm home to stay in without rotten floors, bed bug infestation, no running water, and various offenses. If I also recall Cappleman and his team assisted those that were displaced into new housing with rent paid for two months. Rental subsidies I believe is what took place. What Eric doesn't want anyone to do is have their own thoughts and opinions. Do the research and go speak to Cappleman, he can show you the documentation, because he was in court and he was dealing with the tenants in an awful situation. Those that are in favor of working out a satisfactory situation actually help build a community and not tear it down. I live in the neighborhood when the marchers came in, they were rude and at times were on the gates and messing with our buzzers. Who does that? Thank goodness we have video of the protest outside that night. :) Why they didn't go to his office in the first place is beyond me, I mean I bet even someone told others not to believe Cappleman or his staff when a discussion was offered. Any bet takers? What I find even more surprising is that Eric works in the Non profit world, very vocal and negative for someone who needs community support. We shouldn't be the dumping spot for the homeless other neighborhoods should equally provide.If were down 1000 affordable units other neighborhoods could provide. We have more then our share here.As a tax paying property owner I should have the same quality of life as a tax payer in the Gold Coast. I see from news reports that our leftist betters marched by Capp's house and his office as is their right. Personally I think they should have confined it to his office as he does live on a residential block, but the constitution trumps my personal feelings. It should trump my personal feelings. Including my personal feelings about Donald Trump. I wish their leftist compatriots in Missouri were as respectful of the right to protest and cover that protest as I am. God save us from those who would save us. Irony is sometimes amusing and is often wasted on the young. Sometimes it's unclear to middle aged professors who think feelings trump constitutional principles. Yes, I also agree with Pierre. The protesters should be down protesting the city to do more to help the homeless... not protesting to keep them living in filth. I don't consider their tactics humane or compassionate. I support the alderman and will continue to do so. Excuse me, does Cappleman not count as City? We protested his inhumane treatment of the homeless, the fact that he CLOSED DOWN 1000 low income units while building ZERO units, and he didn't make sure those folks had places to go. You think some of those units were dirty and inhumane? Try living on the streets in the wind and rain, cold and wet, and then decide which is more inhumane. We aren't protesting for them to live in filth, we ate protesting for them not to be harassed, illegally ticketed, woken up at all hours if the night, and threatened with arrest. LEAVE THEM ALONE, AND PUT YOUR ENERGY TO HELPING THEM. Many are mentally ill, disabled, suffering from PSTD. Listen to the stories, learn their names, and treat them like citizens. You all should be ashamed of yourselves. You aren't any better than anybody else. Give me a break Eric. Tell them to go to Lincoln park or the gold coast or even bucktown. See how they are welcomed there...probably not very well at all. Why is it our responsibility to care for people who don't want to be cared for? I would like to see our property values go up, not down. Things are getting done in this neighborhood, making it a nicer and more desirable place to reside. Why are you fighting that? 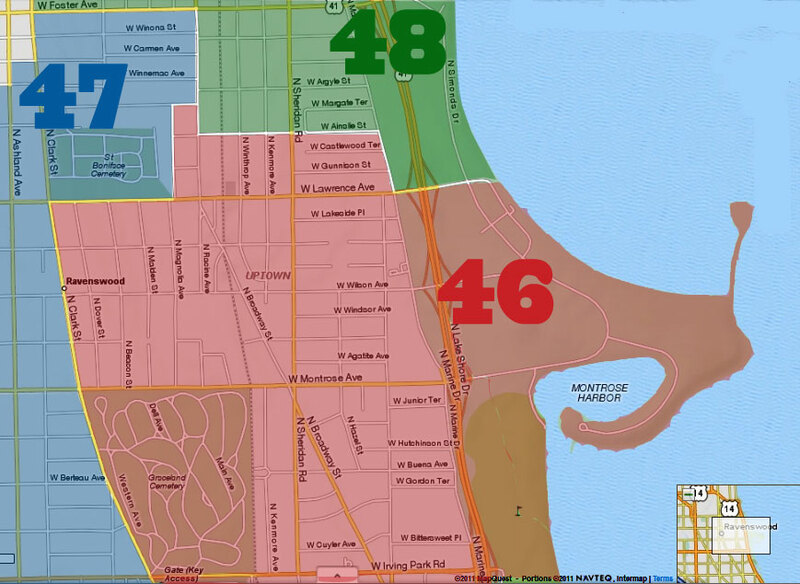 Our alderman lives in it and wants to bring our neighborhood to a higher standard. I stand with Cappleman on this one. also- I have brought the people under the viaduct food in the winter, the police have offered them places to stay. what was the response...they threw the food all over the park for some unknown reason. Great local food from el mariachi. Trays of food let over from a party. They also told the police they didn't want a place to stay because they wanted to stay where they were at, in their tents, under the bridge. Doesn't seem like they are very accepting of help. BUT that capplemans fault, right? Thank you Pierre for stating what so many also want to state--but you did so with eloquence. Clearly Eric has no regard for the tax payers who are burdened with trying to stay safe AND maintaining a clean neighborhood for all AND being a good role model for non tax paying citizens AND are constantly picking up trash AND are just plain fed up with too many lazy folk. I am a tax paying property owner who has lived here on the north side for over 50 years. It's time Uptown is not treated as the city's unwanted dumping ground anymore!